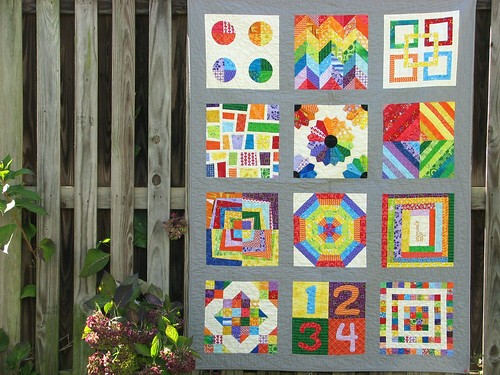 This is the story of two quilts. 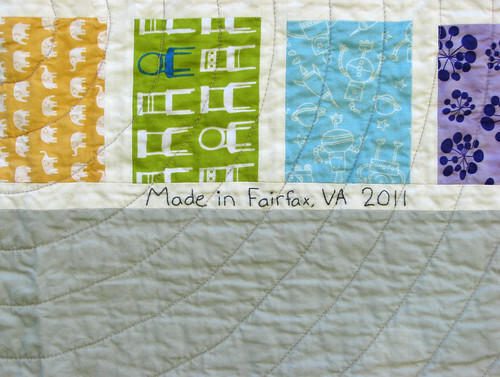 The completed second quilt will be revealed in another blog post. This quilt is not mine to keep, but hopefully it will go to a good home where it will be loved. At the beginning of this year, I was beginning to despair that I would not be able to have any more children. Or, more specifically, that I would not be able to sustain another pregnancy to full term. You see, I have had three miscarriages, and the older I get the more likely it seemed to me that I would continue to have them. In short, I was losing hope. That’s when I conceived of this idea to make a pair of quilts. I used a good portion of my Christmas money to buy a stash of bright and cheery fabrics and started making sampler blocks. I decided that I would make two quilts: one to donate and one to keep for myself in the hope that I would be able to have another baby. 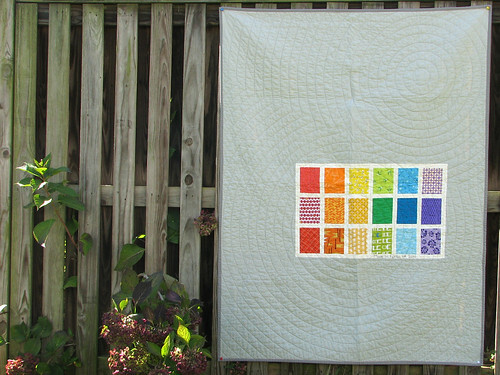 A friend of mine quickly nicknamed it my Hope Quilt. 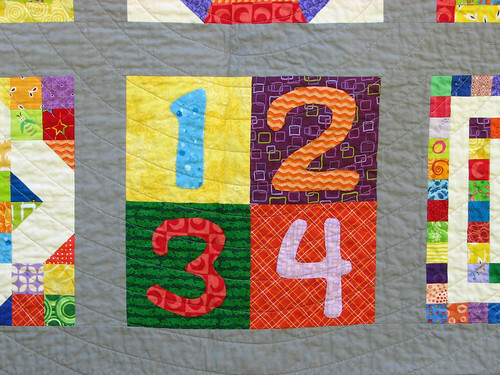 Much like one collects things in a Hope Chest in the hope that you will one day get married, my quilt was made in the hope that I would one day have a third child living in my house. I liked the theme of hope, but must admit that I’ve never been fond of the whole idea of Hope Chests. Alas, it is not a perfect metaphor. I had always planned for my quilt to be donated to Divine Mercy Care in order to be auctioned off at their annual gala. It is an organization that does many things, but one of their largest efforts involves providing obstetrics care to those who cannot afford it. They do this through their entity, the Tepeyac Family Center, which is where I go for my obstetric and gynecological care. 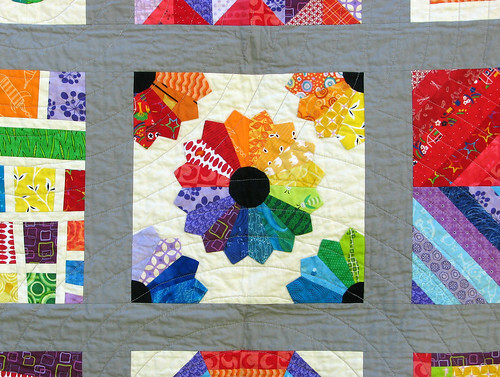 Now, this is a quilting/sewing blog, and words like “gynecological” normally don’t have a place here, and I promise I will try to make it brief. In fact, if you just want to see pretty pictures, feel free to skip to the end. I just wanted to say what a blessing it is to be able to go somewhere and see doctors who treat me with so much respect and compassion. A place where, after having three miscarriages, no one even obliquely suggests that maybe I shouldn’t be trying to have any more children. A place where the doctors really work with me to try to figure out what the underlying cause may be, and try to find a humane way to provide care. A place where fertility is not treated like a disease that needs to be cured. What a beautiful post and a beautiful quilt. Blessings for you and your little wee one. And many many many (3′s!) congratulations on your upcoming bundle! GAH! 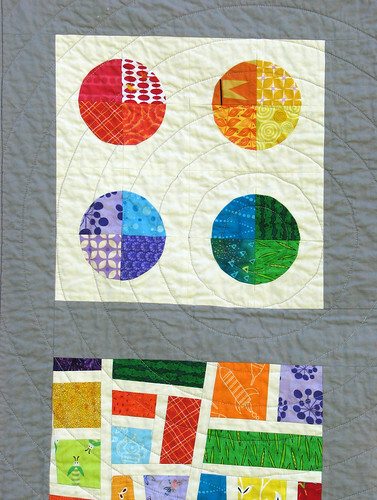 Another mind-blowing quilt! hmm, I suppose better adjectives might be gorgeous and cozy looking. But the pictures are also blowing my mind. And thank you for the story behind the quilt, I am so thankful for Miss Lucy, and that hope turned into reality!